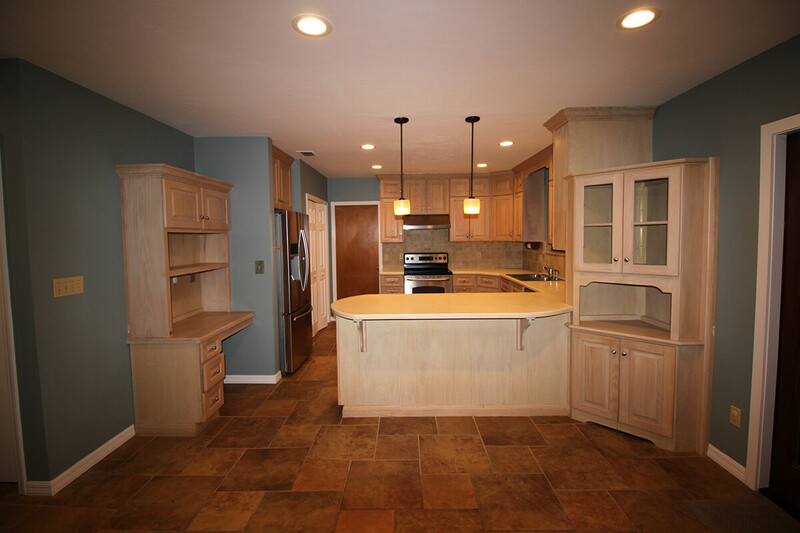 This home renovation consisted of new flooring throughout the downstairs and the removal of existing walls. When our designers started working on this design, the first thing they wanted to do was open the space and make it more inviting. When the space planning is done properly it creates a finished room that feels larger, and performs more efficiently for the homeowner. We also provided more window space. There was only a 3’ x 3’ window over the kitchen sink. Now they have an 8’ window overlooking their beautiful backyard allowing more light into the home. There is a fine line between contemporary and modern. “Contemporary” typically means of the moment or current, the design of right now. 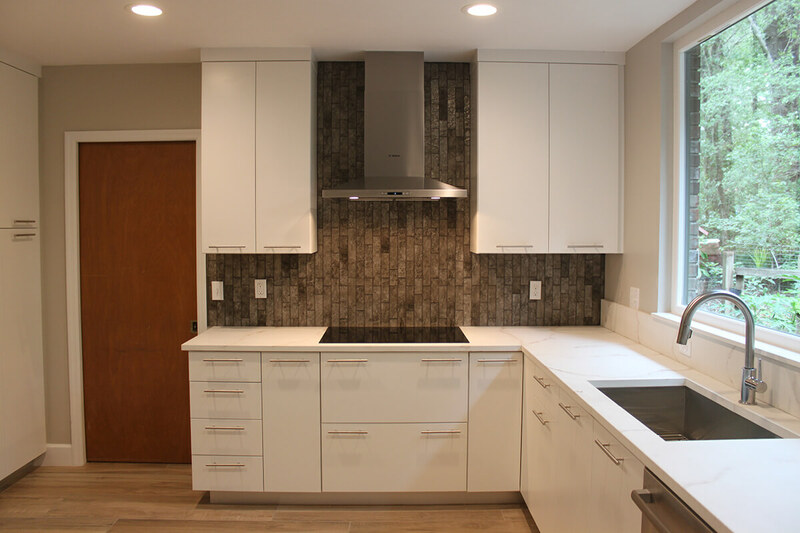 Contemporary kitchens can be modern as well, but they can also have elements of other styles. 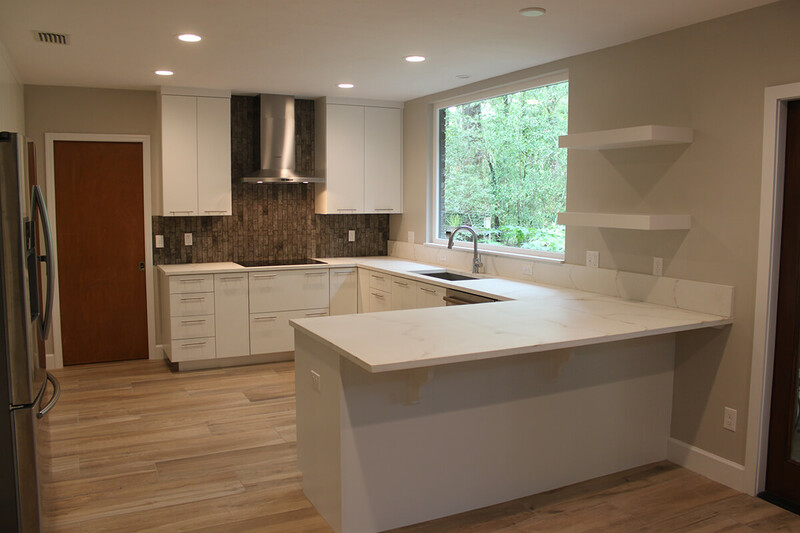 When we think of what makes a contemporary kitchen, it most often includes cutting edge design and technology, and the use of new trends and materials. 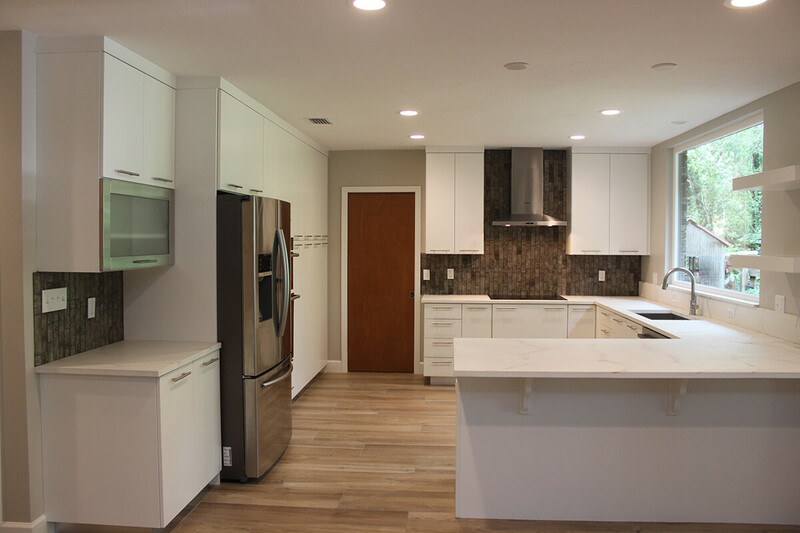 In this “contemporary” kitchen renovation, we have done just that. 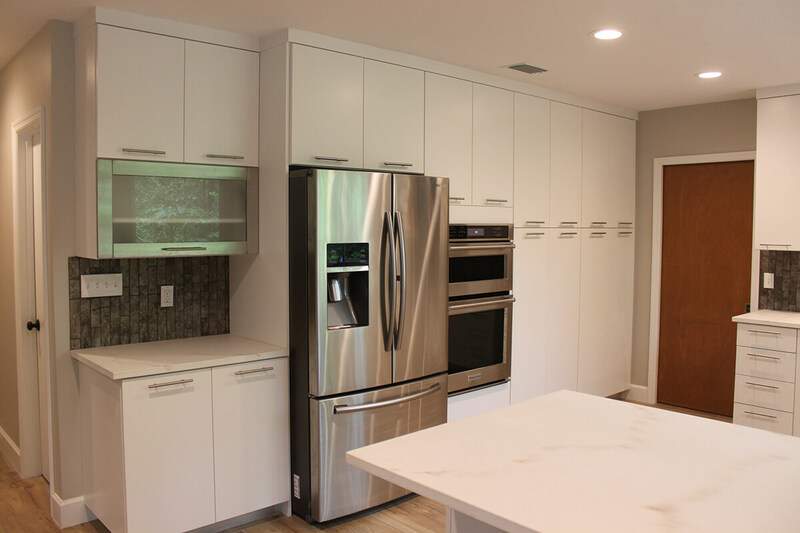 Slab front, or flat front, cabinetry is a very clean style of contemporary design. 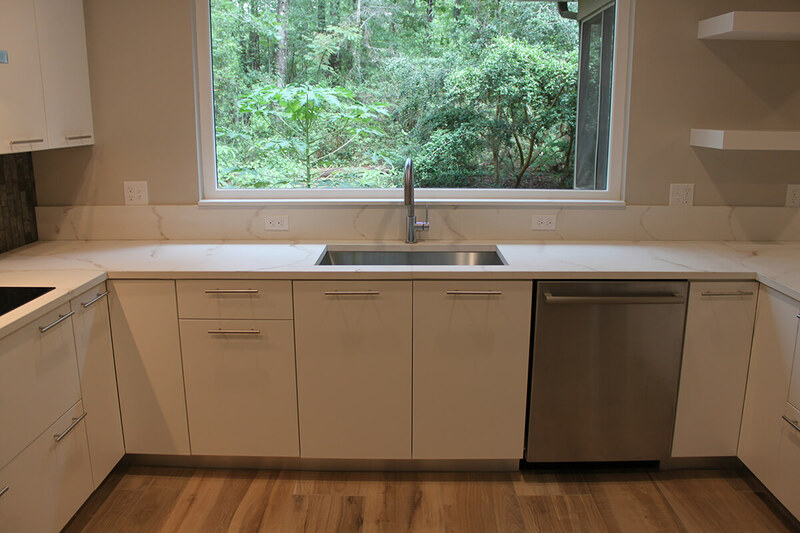 The countertops pictured are matte custom concrete tops. Concrete is a very low-maintenance material. Our process of making concrete goes through two different steps of the sealing process, and never has to be sealed again. 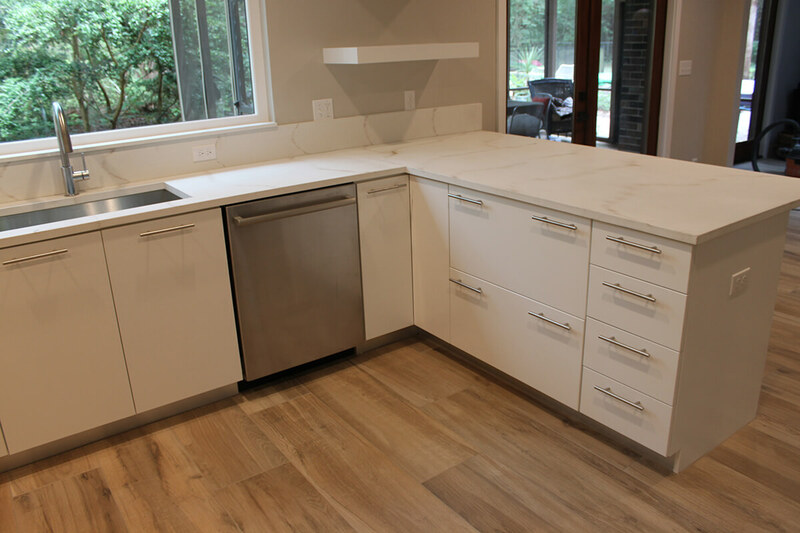 It is also a very hard material like quartz or granite. When using concrete, the creations are endless! 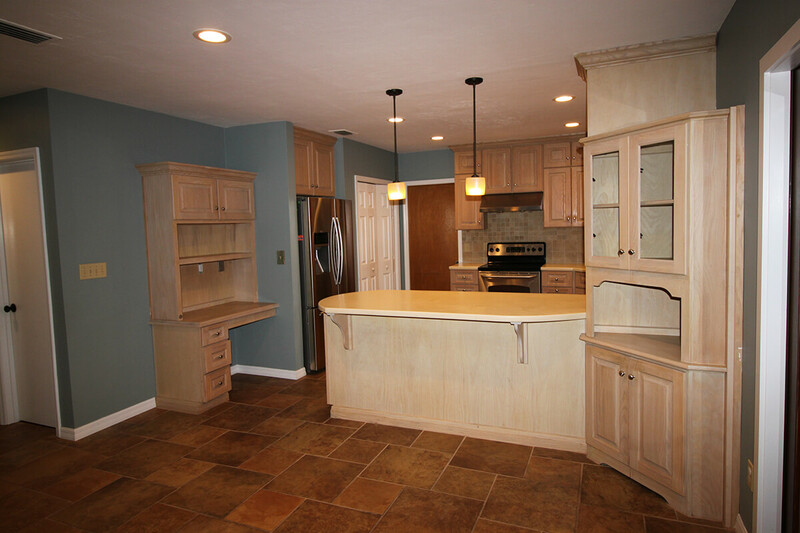 Quality DesignWorks now has a custom line of cabinetry and also a concrete fabrication shop. 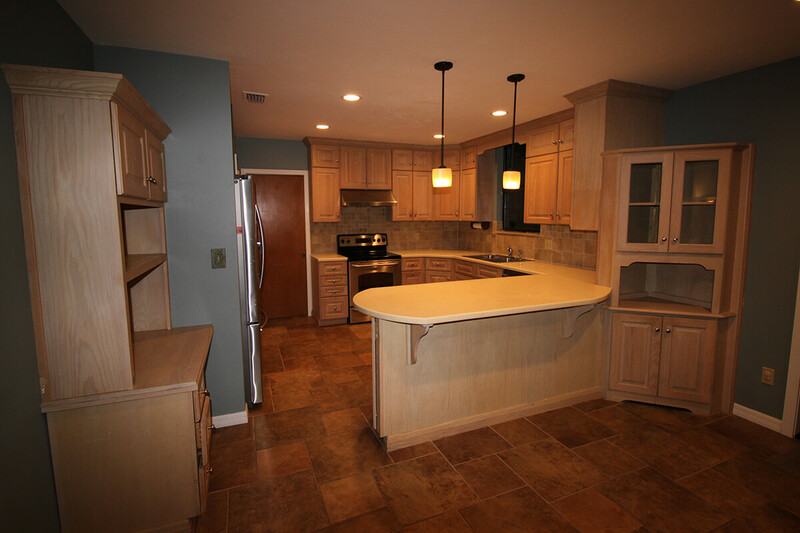 Visit our website for more information and pictures of projects. 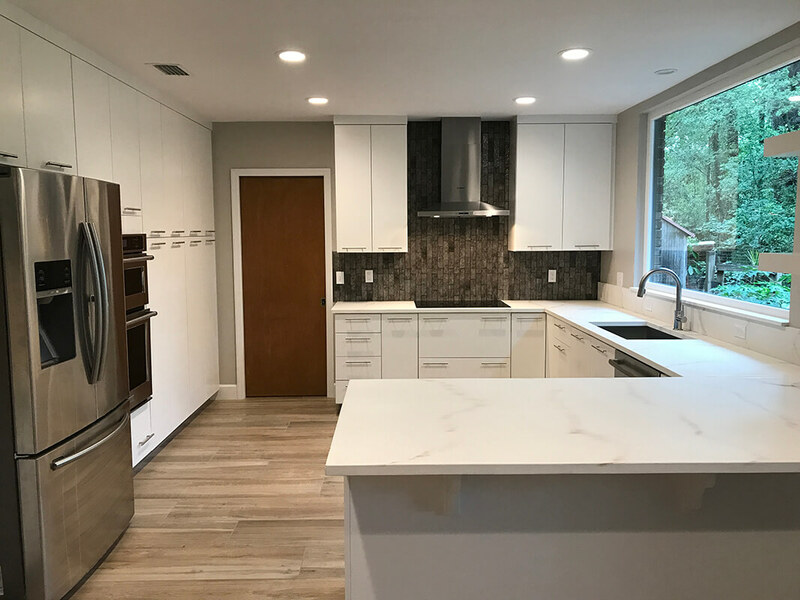 This beautiful contemporary kitchen was finished off with free floating shelves, textured glass backsplash, aluminum top hinge cabinets and a stainless-steel toe kick.